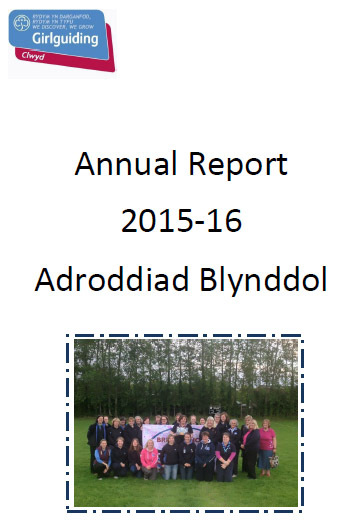 The Girlguiding Clwyd Annual Report 2015-2016 is now available to download in pdf format. It has information about Girlguiding Clwyd through out the year, changes, events, programmes and more. County exec minutes are published on our news blog. View past minutes here. Girlguiding Cymru is a region in Girlguiding UK. To find out more about guiding in Britain. Girlguiding Clwyd is part of Girlguiding Cymru. To find out more about guiding in Wales. The offical Girlguiding UK online shop. Girlguiding Clwyd has its own center and campsite. To find out more information or book online visit here.